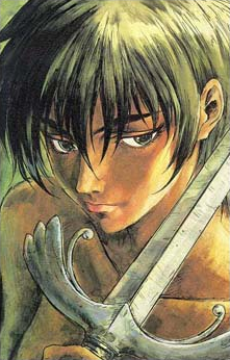 Casca was the only female soldier in the original Band of the Hawk and is behind only to Guts and Griffith in swordsmanship. Her ambivalent relationship to both of them makes her moody and capricious. Casca joins the Band of the Hawk after Griffith saves her from a sexual assault by a nobleman.